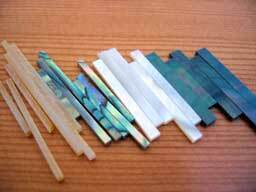 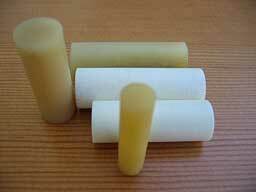 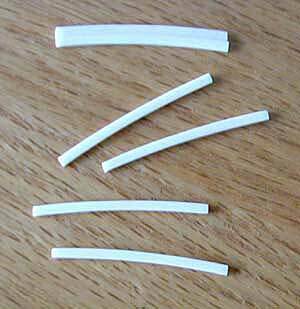 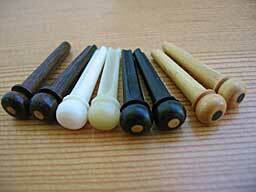 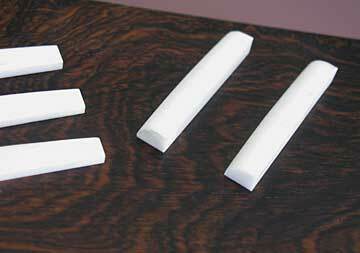 Bone, bleached or unbleached, shaped or unshaped is available for guitar nuts and saddles as well as for violins. 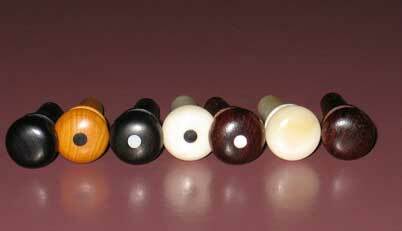 Bridge pins of ebony, rosewood, boxwood, and bone, with or without dots are available. 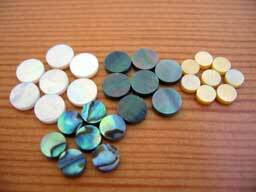 Above right, dots, in Abalone, Paua, mother of pearl, and gold mother-of-pearl. 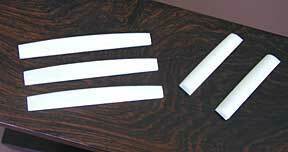 Right, strips to match dots.